Sometimes the lifestyle part of ‘millionaire lifestyle’ is not as exciting as you might imagine. For hard working sports stars, actors and musicians, their appearance in the limelight might suggest that all they do is hang around in glamourous locations doing exotic things with fascinating and beautiful people. But there is often a far less glitzy back story to those glossy presentations. The day job for people who work hard enough to enjoy significant success is usually a lot less sparkly – however they earn their money. But the new breed of multimillionaires who make up the top tier of poker superstars have it slightly differently. Bear in mind from the outset that these guys are smart. Nobody gets a lucky break in the world of professional poker. And unlike all those super-toned, half-starved actors and sports stars, they do not have to work their bodies day and night just to be able to perform. Those guys are already ahead of the game, even if they are not quite at the level of the world’s very richest sports stars. 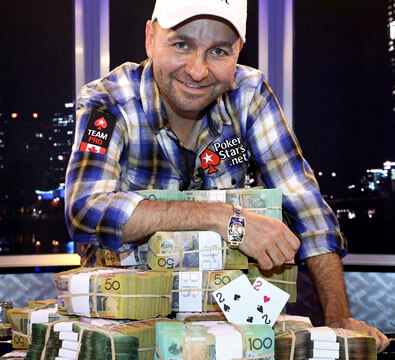 High rollers such as the game’s top earner, Daniel Negreanu, are able to genuinely luxuriate in the opulence their wealth allows. For Negreanu – a man who is simply bulletproof when it comes to the business of making high stakes poker pay – even the business of going to work is an experience rich in every form of luxury. World Series of Poker events invariably take place in stylish high-end resorts, but run of the mill four star luxury is simply not up to the mark for Negreanu. The six-time WSOP bracelet winner goes to the trouble of having his own super-pimped trailer installed every year at WSOP events so that he can enjoy the sumptuous comforts of home even when he is on the road. And to be fair to Negreanu, the comforts of his home are the sort of thing you might begin to miss once you have got used to them. Of course, Negreanu is not the only member of poker’s lifestyle elite. The man in second place on the all-time money list Antonio Esfandiari does not hold back when it comes to enjoying the best that life has to offer. The thing about professional poker stars is that as long as they keep their minds sharp there is no restriction of how they spend their days – or nights. Casino card play is hardly heavy lifting, and it does leave a lot of spare time. No wonder they all look so happy! 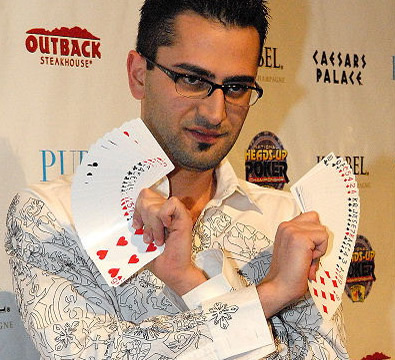 Esfandiari is almost as well-known for his hard-hitting partying as he is his almost magical ability with the cards – Esfandiari’s nickname is ‘The Magician’. 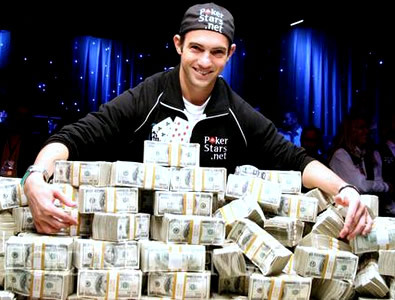 His net worth after having won the largest pot in poker history, believed to be worth a cool $18,346,673, is estimated at a cool $20 million. His birthday celebrations in particular are famous in their own right. The man who stands third on the all-time money list, Phil Ivey (pictured above), is one of those people who just makes life look easy. Whether he is jetting into London’s Mayfair or working the numbers in New Jersey, Ivey oozes the sort of cool that money just cannot buy. Branded ‘The Tiger Woods of Poker’ Ivey’s lifestyle is the envy of many. Such is Ivey’s fame that he is feted wherever he goes, with casino owners and hoteliers falling over themselves to satisfy his every whim. Perversely, when he is at the tables, Ivey admits to attaching very little value to the money he is playing for. For Ivey, the winning is the thing that really matters. The rest of the time, however, you can bet that he does not object to a certain amount of pampered hospitality. Who would? Needless to say, the three individuals we have highlighted here on the basis of their success at the tables are by no means quite as exceptional when it comes to the way their chosen profession allows them to live the good life. There are numerous others – women as well as men – who have the sharp minds and the steely nerves required to make their way in the unforgiving world of professional poker. With poker enjoying a worldwide boom, and the marketing value attached to such high-profile, successful grinders, it seems they are in the happy position of being able to maintain their sometimes extravagant lifestyles, whatever the ups and downs of their competitive career. Such is the level of play in online games that these cossetted millionaires do not even need to leave home to continue bankrolling their lavish lifestyles. It was estimated that Ivey earned as much as $7million from his online play in just a single year. The irony is, of course, as the example of Ivey suggests, is that the more secure these guys are, the better they are liable to play. As lifestyles go, a career in professional poker has a lot going for it.